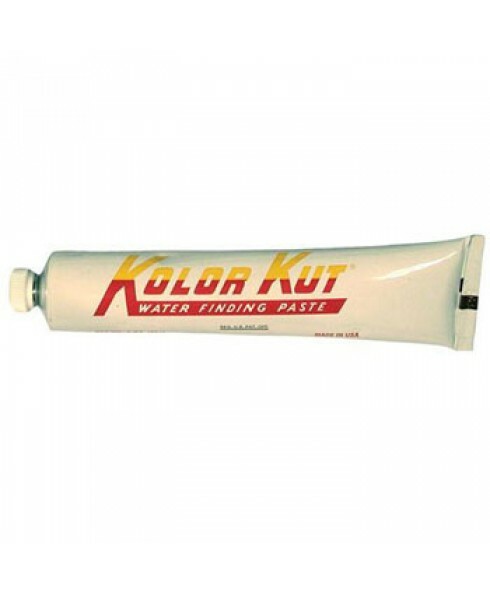 Kolor Kut M-1070 Water Finding Paste is golden brown in color and turns brilliant red upon contact with water. It successfully gauges water content in all petroleum and hydrocarbons as well as sulphuric acid, nitric acid, hydrochloric acid, ammonia, soup solutions, salt and other chloride solutions. 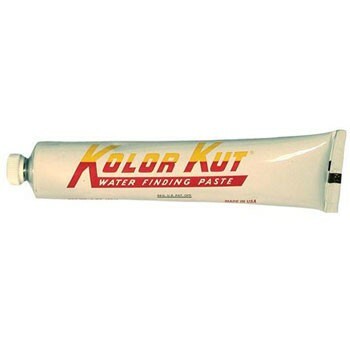 Phase separated alcohol solutions with as little as 6% water will turn the Kolor Kut water finding paste yellow. It is a genuine and suitable water finding paste for testing the presence of water at the bottom of fuel storage tanks and is suitable for use with petrol, diesel, kerosene, gas oil, heating oil and lubricating Oil.